Port Ellen operated for over 150 years, but it wasn't until its demise that its whisky grew to become some of the most iconic. 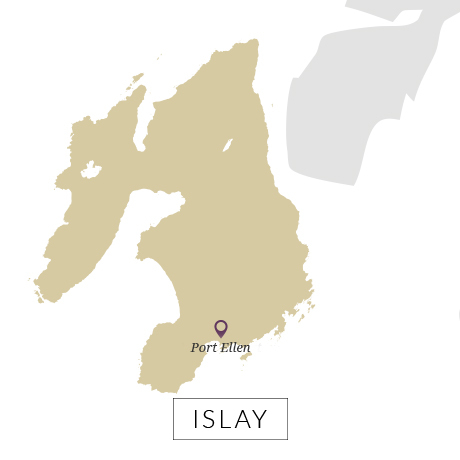 Port Ellen’s smokiness is quite different to the rest of its neighbours on Islay’s south coast, being both highly maritime in nature alongside a sharp lemon element, light tar and some oiliness in the texture. Because most of the bottlings have been matured in refill casks it is rare to find a Port Ellen with a huge amount of oak. While this accentuates the smokiness it also lends it a somewhat austere nature. As the world’s love of smoky whiskies has increased so its stock has risen – not necessarily because of it having any greater qualities than its neighbours but simply because it is rare. It is fast becoming a whisky only investors can afford to buy. Port Ellen was opened in 1824, later than its neighbours on Islay’s south coast. It was built by Alexander Mackay, on the site of a malt mill which had possibly been supplying the many illicit distillers on the Oa Peninsula. 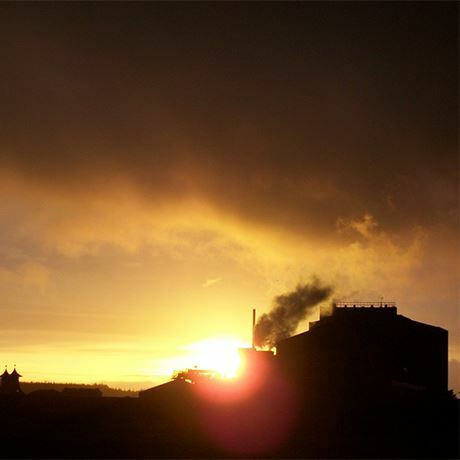 Mackay struggled and in 1836 the lease of the distillery was taken by the 21-year-old John Ramsay whose uncle Ebenezer was a distiller based in Clackmannanshire and related to the Steins. Ramsay was a man of his time. As well as establishing the distillery, he became the business partner of Walter Frederick Campbell who owned Islay. Between them they started the bi-weekly steamer between the island and Glasgow which undoubtedly helped cement whisky-making as a major industry on the island. It also made Port Ellen, rather than Bowmore, the island’s main ferry terminal. He also introduced ‘improved’ agricultural practises to Islay. One reason for the island not suffering from the worst of the Clearances is down to the open and benign attitude of its then laird to his tenants. 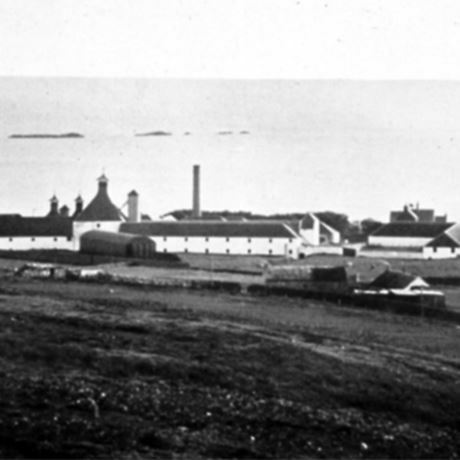 In 1869, the sales of Port Ellen were handed to W.P. Lowrie, the blender and broker who among many other things loaned James Buchanan money (and supplied stock) for the young tyro blender. By this time Campbell’s Port Ellen had already started to be exported to the United States. The distillery remained in the Ramsay family’s hands until 1920 when it was sold to the newly formed Port Ellen Distillery Co.. which had been formed by John Dewar and James Buchanan, who had by then bought Lowrie’s business. When these two firms became part of DCL in 1925, so ownership of Port Ellen passed into the hands of the industry giant. It closed in 1930 and remained silent – something which is often forgotten – until 1967. In 1973, the old distillery buildings were dwarfed by the new drum maltings which were erected alongside, initially to supply malt for DCL’s three Islay plants, Caol Ila, Lagavulin, and Port Ellen. The 1980s whisky loch hit Islay hard. These were the days when the received wisdom was that only a small number of intrepid drinkers would enjoy smoky single malt – indeed single malt wasn’t even being considered as an option by major distillers. Blenders meanwhile only needed a small percentage of smoky malt in their whisky. The result was that distilleries either went onto short time working, or closed. With three distilleries on the island, DCL was more exposed than most and Port Ellen drew the short straw. In 1983 it closed forever. 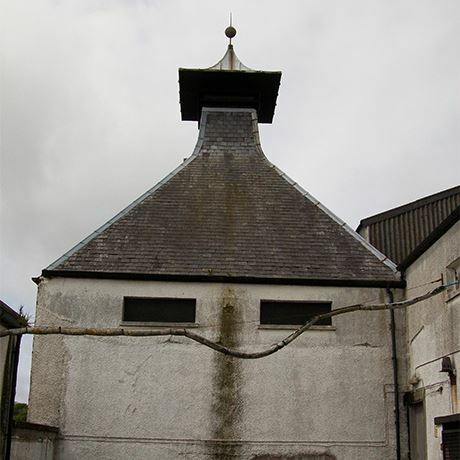 The maltings only stayed open thanks to a gentlemen’s agreement [the Concordat] between Islay’s distillers in which they all agreed to take a percentage of their malted barley from the plant. Port Ellen’s fame therefore only came after the distillery doors had been firmly bolted. Stocks are dwindling… and prices rising. 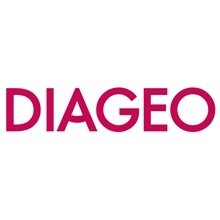 However, in October 2017 Diageo revealed plans to reopen both Port Ellen and Brora distilleries, which also closed in 1983. Subject to planning permission, the two sites are expected to be operational once more by 2020. 1920 The Ramsay family sells the business to conglomerate Port Ellen Distillery Co.